We're tracing some wiring issues while we wait for new piston rings. The fuse box had one wire switched around—and here you can see the new reproduction sticker next to it. The iPad is a surprisingly useful tool in the garage. Here's a new VIN tag, as well as reproduction color decal we sourced from 2002faq.com. 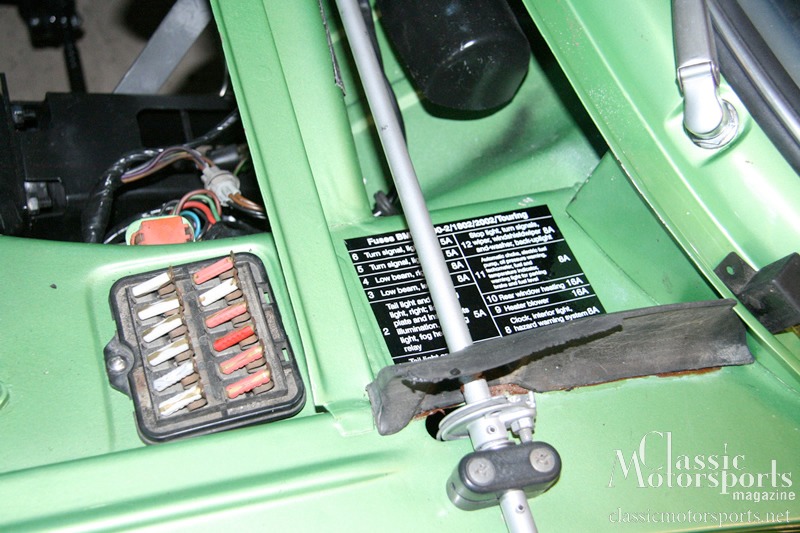 There’s just short of a million little wires that make up the electrical system—even on this forty-year-old BMW. Removing a car’s wiring harness isn’t something to be taken lightly. 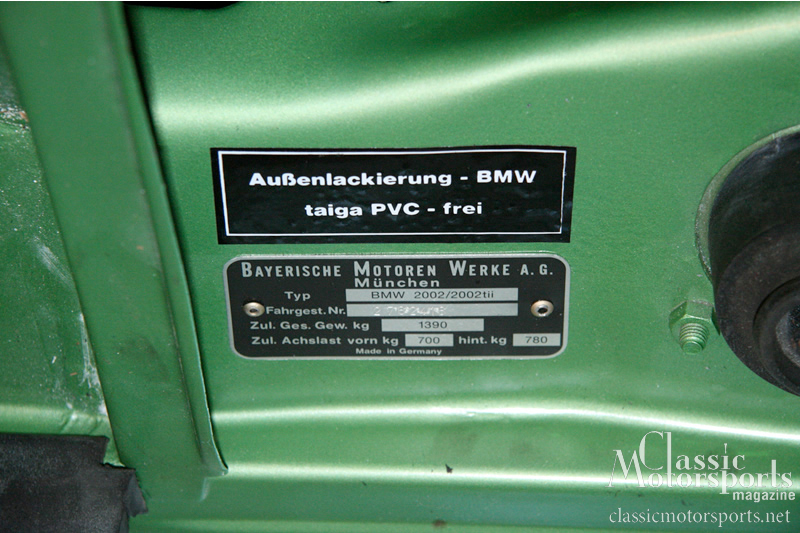 There’s just short of a million little wires that make up the electrical system—even on this forty-year-old BMW. We strung the wires throughout the freshly painted shell and got most everything where we needed, but had yet to put any electrical power to the main circuits to insure that we had done it correctly. That is, until now. 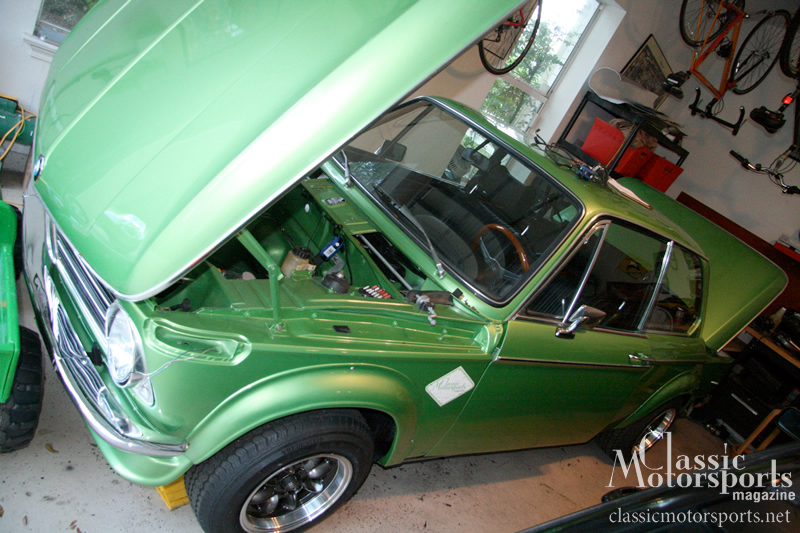 We powered up the main harness with a fresh battery from Performance Distributors and turned the key in the ignition. The fuel pump powered up as it should when the key was in the ‘on’ position, but also turned on when we flipped on the headlights. We took a look at the back of the fuse panel and realized that we needed to switch one wire. We had confused a grey wire with a green stripe and a green wire with a white stripe—an easy mistake on wires that are four decades old. 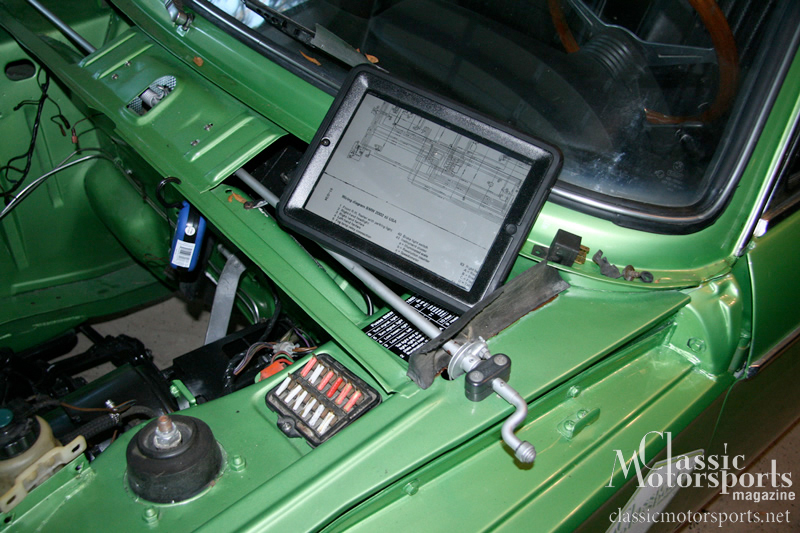 We used an iPad and a PDF file of a wiring diagram to make the job a little easier. We could trace colors and terminals quickly using the modern mobile device.